This is the best at-home wine tasting kit that I have ever put my hands on. In fact, researching this product, nothing came close and the price was perfect. Seriously, all you need is the wine and the glasses, oh and the people too. 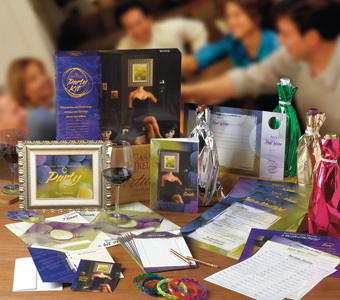 Everything is included with this DIY wine tasting party kit, including invitations and the "How-To" manual. Enjoy one for yourself or give as a gift to your favorite party giver!